The display and graphics are stylish and easy to navigate. The game is an occupying one for sure. In spite of being tagged with 3D, some displays are clearly 2D. 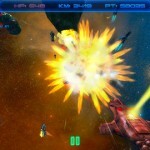 Star Splitter 3D iPhone app takes gamers on a space odyssey where they explore alien lands and go out with all guns blazing. It is a shooting game where each player is an intergalactic pilot out on a mission to destroy space baddies and strengthen their planet position. This game app comes with futuristic game styles that delight gamers as they launch one offensive after another in a shooting spree that destroys everything in their path. 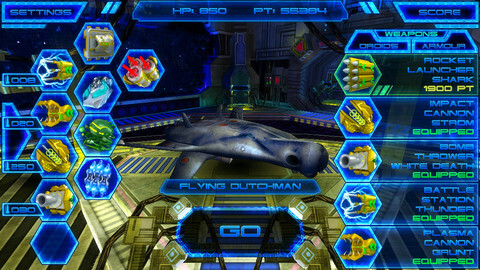 There are many game levels with ascending degrees of challenges and each forces the space soldier to steer their spaceships on the right course while fighting off aliens in dangerous missions. It takes space shootings games to a whole new level. Star Splitter 3D has a plethora of attractive features and some of the most popular features are listed below. Star Splitter 3D version 1.0.0 is developed by StepGames Inc and is compatible with iPhone 3GS, iPhone 4 and 4S and iPhone5. It can be played on iPad Touch (3rd generation and later) and on iPod. It requires iOS 5 and later versions. It is a free game app and occupies a phone space of 46.5 MB. The app is visual delight with 3D graphics and space simulations. Enemy aliens, spaceship interiors and above all the game screen are straight out of next generation science fiction movies. The game interface is smart and intuitive with drop down menu tabs; on-screen mission statistics, point’s gallery and a powerful viewing angle. Each player is equipped with a formidable space shooting system which has a choice of heavy firing gear like laser guns, super weapons and missiles. . Gamers can navigate weaponry for selecting single or multiple weapons for a specific part of the mission. 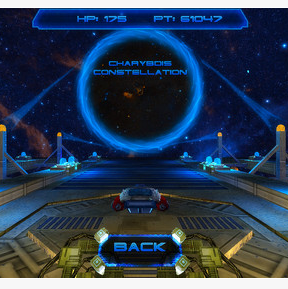 There are more than 60 space missions, which can be found as a player completes the last task successfully and travels ahead in the intergalactic space. 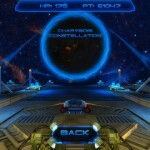 Star Splitter 3D app allows for several in-app purchases for installing upgrades. Popular upgrades include building the space shooter, buying weapons like Plasma Canon guns, pulse control bombs, security systems and aids like Flying Dutchman. Game sound and backgrounds create a realistic space battlefield which is made more pronounced by the thrill and dangers woven into the plot. 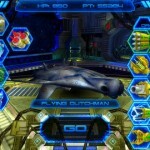 The app is integrated with Facebook and Twitter and gamers can share scores and compete with other pros just to see how fast they capture alien territories and fly in the most advanced battleship. 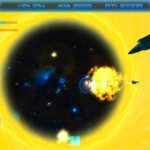 Summary: The Star Splitter 3D app lets players enjoy the game at 3 levels. First, lead the charge against enemy aliens. Second, win missions to fortify your ship and third, protect partners in the offensives. It is specially meant for players aged 9 and upwards due to the presence of violent encounters, although fantastic. It definitely deserves its place among space shooting games for iphones.